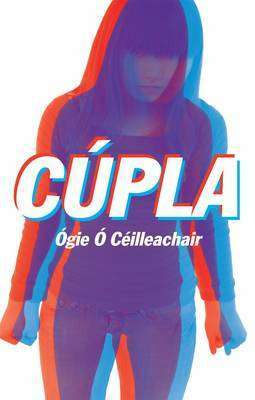 Cúpla iad Sharon agus Éile agus iad beirt cúig bliana déag d'aois. Cailín ciúin, stuama, staidéarach í Éile atá go maith ar scoil, ach tá Sharon aerach agus fiáin agus bíonn sí ag pleidhcíocht i gcónaí. Agus an Teastas Sóisearach ag druidim leo ní mór do Sharon luí isteach ar an obair, ach lá amháin feiceann sí rud a chuireann as go mór dí. Cailleann sí smacht uirthi féin go hiomlán. Tá alltacht agus uafás ar Éile, ach céard is féidir léi a dhéanamh faoi? Sharon and Éile are fifteen year old twins. Éile is quiet and sensible and good at school, but Sharon is wild and scattered and spends a lot of time fooling around. One day coming up to the Junior cert exam Sharon needs to get down to studying she sees something that makes her lose control of herself completely. Éile is shocked and horrified, but what can she do?